Lightweight and easy to use. Our X Banner Stand is the perfect display product for any exhibition, roadshows or retail shops. Available in a variety of sizes. 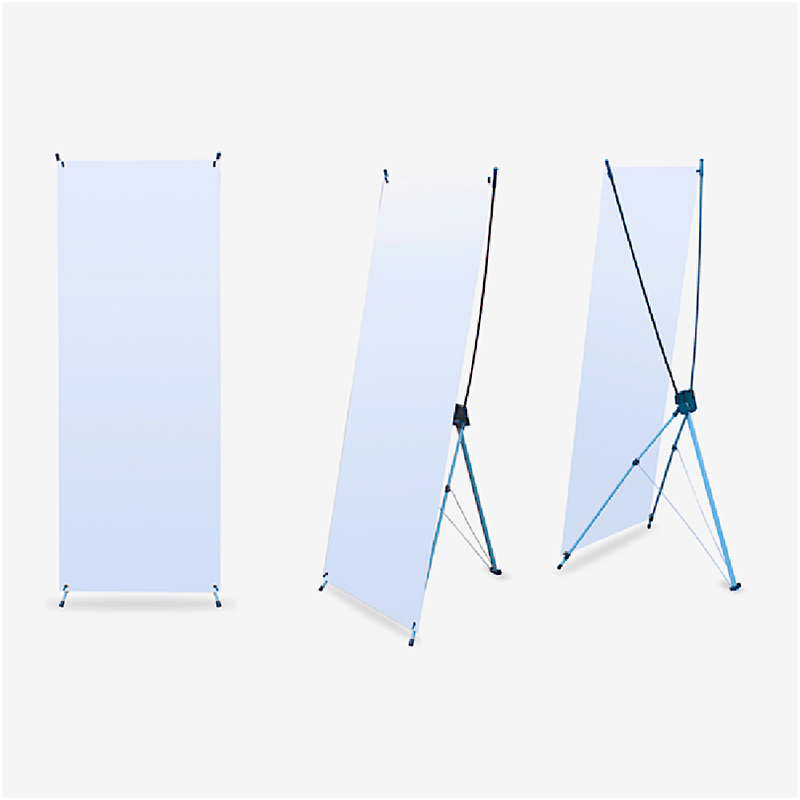 Our X Banner Stand has always been one of our most popular display product. Reason being, it is lightweight, portable and very easy to set up. As such, it is perfect for placement outside retail shops whereby the X Stand Banner can be brought in (when the shops closes) and out (when the shops open) easily. Here at Brucebanner, you can choose to print your X Stand Banner in either PVC Banner or Synthetic Paper material (see below for pricing). The latter is slightly more expensive as printing on synthetic paper produces better colour and graphic representation (due to good ink abosrbency). In fact, we can print up to 2440dpi on synthetic paper. PVC banner material on the other hand, produces X Stand Banner with slightly rougher surface and slightly lower resolution. Our X Banner Stand is re-usable. After you purchase your first X Banner Stand from us, in the future, if you need a new print, you do not have the purchase the stand again. You will just have to purchase the replacement artwork. We will work out a first design draft for you based on your guidelines. Do be as specific and as clear as possible on your guidelines. This is because subsequently, after the first 3 revisions, if you require any further revision, there will be an additional charge of $30 per revision. I'm interested! How can I place my order? We apologize. But we do not accept any refunds. After confirmation of artwork, we will require 2 working days for printing. The X Banner Stand will be available for collection/delivery on the next working day. We are a printing company based in Singapore. We provide a variety of printing services such as banner printing, backdrop printing and foam board printing. One stop event photography agency specialising in custom photo and video booth installations for events and brand campaigns in Singapore. One stop event photography agency specialising in custom photo and video booth installations for events and brand campaigns in Malaysia.